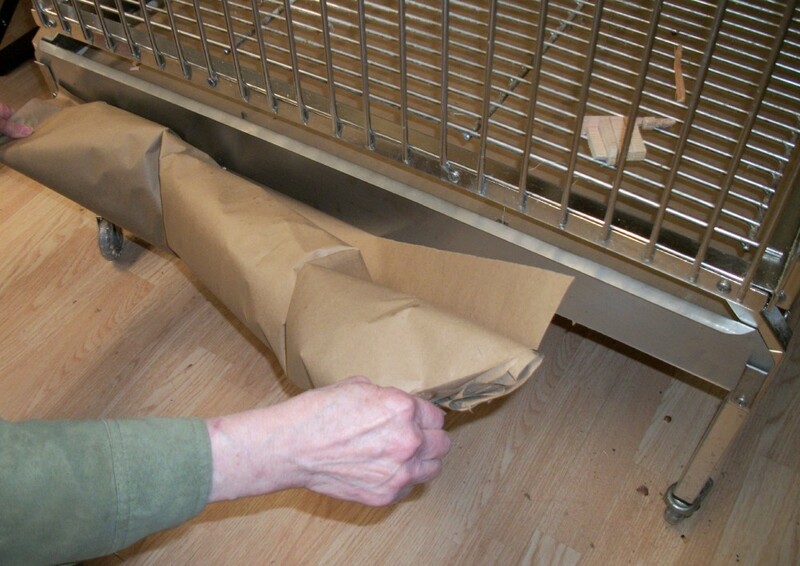 Pull Through Paper - makes cage bottom clean up a snap!
. . . As you pull soiled paper out new paper is automatically in place.
. . . Put cages next to each other and you can pull it through many cages at the same time!! * 3/16" bars spaced 13/16"
* 1/8" bars spaced 1/2"
Knock down - Ship UPS, assemble anywhere, remove & clean 1 panel at a time! Click to see expanded version Each cage is available in 3 bar sizes and spacings. Note: Please contact us if you have special caging needs. Knock down to ship UPS. * Square cages can also be set up with paper roll in back so that it pulls out the front. Rectangular cages can be ordered so that the paper pulls out the front for an additional charge. ** Cage # 48306 & # 48366 have outside height of 6 ft 6 in. with double main doors. Remember, cages are not in stock and are made only when ordered. 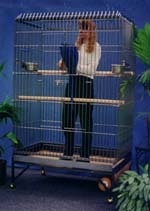 Please contact us to insure that the cage you want will be ready when you are. Adds 6" to each side of the cage. Each piece lifts off for cleaning. Not recomended, perch height between 74" & 78". A seperate stand is better. 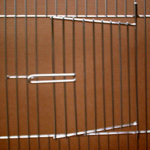 We are not taking any orders for 1/8" bar cages at this time.